THIS was once sacred rugby league territory and the home of the first premiership game in 1908. Not anymore. The AFL installed four goalposts on old Birchgrove Oval on Monday, igniting a cross-code war between Australia’s major footy codes. Players from Sydney’s two AFL teams the Swans and the Giants will descend on Birchgrove Oval on Thursday to launch the statewide Auskick footy festival to promote the game in inner-west schools. AFL juniors and the Balmain senior club will now share the ground on weekends with rugby league and soccer. For 35 years, stadiums and elite venues around Australia have trusted PILA to deliver high-quality, professional goal posts and flag poles. And as the exclusive preferred supplier to the AFL, you can see our work in action every weekend. Six years ago Leichhardt Council rejected an AFL request to play on the home of rugby league due to insufficient participation numbers. The code has since developed to a stage where there is not enough grounds in Sydney to cater for its growth. AFL was originally played on Birchgrove Oval between 1903 and 1926 but has been off limits ever since. The NRL launched its centenary season in 2008 at the venue because of its significance in the history of the game. 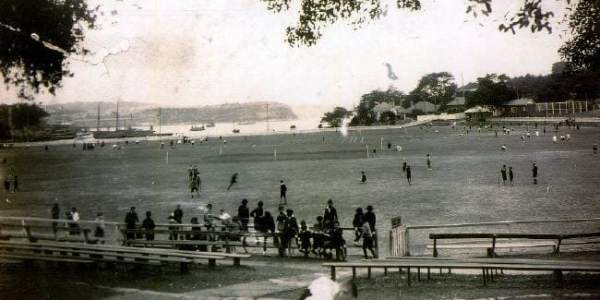 The first ever premiership matches — a double header in 1908 — featured Souths against Norths and Balmain against Wests in front of 3000 fans at Birchgrove. These days Balmain junior rugby league is no longer the force it once was. The demographic has changed dramatically since the 1960s and ‘70s when the Balmain Tigers won a grand final and had one of the biggest junior nurseries in the metropolitan area. Their participation numbers have been in decline for decades and Balmain Leagues club closed and has sat idle for more than a decade. Rugby league had only 1800 junior registrations in the inner west last year. The AFL spent $40 million on national development strategies last year with a huge focus on NSW and Sydney junior participation. They have spent $115 million in the last three years. Inner Wests Mayor Darcy Byrne told The Daily Telegraph the venue was for all codes. “With the unprecedented baby boom in our area and the ever increasing demand for sporting fields, the days of valuable grounds like Birchy being used for only one code are over,” he said. The AFL has four clubs — Leichhardt Cygnets, Drummoyne Power, Glebe Greyhounds and Newtown Swans — and their numbers in the area have increased by eight per cent. NRL CEO Todd Greenberg said he expected junior Rugby League numbers to rise as record funding for grassroots reaches junior clubs. “I like to see young people playing any sport — but naturally I want them playing rugby league,” he said. “Under the new broadcasting deal we will have record funding for grassroots so we have a chance to really grow the game among our juniors. “So I would hope it won’t be long before we see more rugby league posts going up around Sydney and NSW generally.